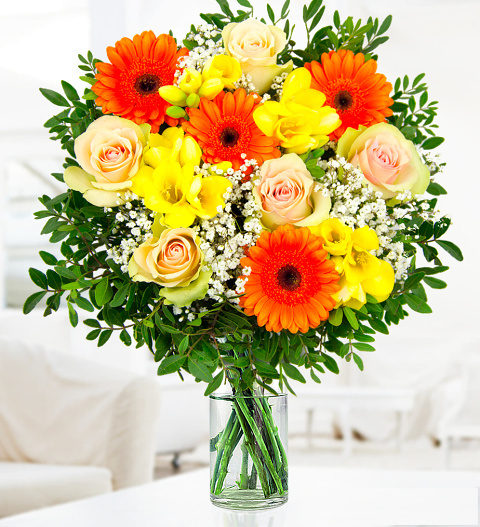 When choosing a bouquet to make a lasting impression, our Cheerful Delight bouquet certainly does just that. For those special birthdays and anniversaries we have selected the perfect blend of blossoms to bring the very best of cheers. With beautiful La Belle roses snuggled with fragrant freesias, germinis and gyposophila, the bouquet wouldn't be complete without a box of British crafted chocolates by Valley Chocolates. Chocolates may contain nuts.